Thanks to their lightness and flexibility, Solbianflex modules are suitable for both permanent and removable installations. 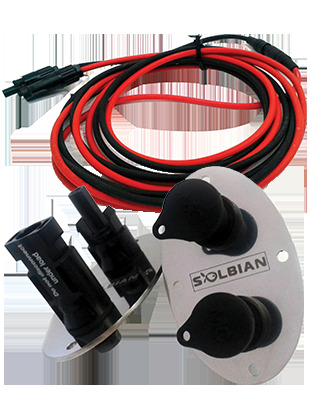 For this reason, Solbian proposes a range of fixing solutions, and if your imagination goes beyond our offer do not be afraid to ask! The flexible Solbianflex panels can become an integral part of the boat. The easiest and most inexpensive solution, they can be fixed on the edges of the panels. Snap fasteners with manual release for a quick installation. Zipper sewn on the edge of the panel, almost like a dress.